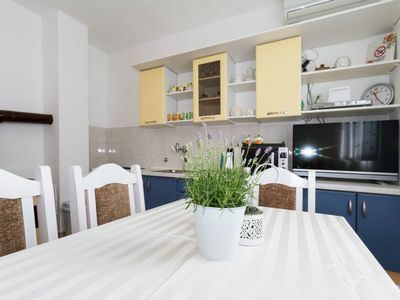 The beautiful newly built holiday house with 5 modern air-conditioned apartments for 2-6 persons is located at the foot of Biokovo mountain in the idyllic seaside resort Tucepi. 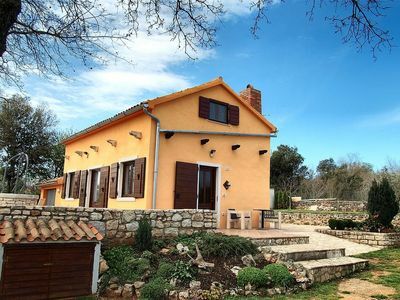 Tucepi is located just 4km south of Makarska on the well-known Riviera of the same name. 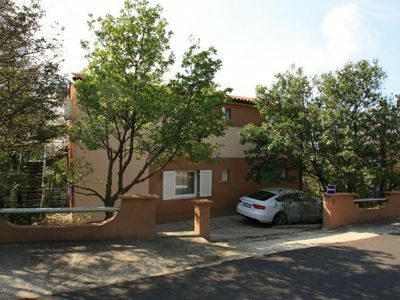 The house is centrally located in the village, very close to the promenade with the small boat harbor and the kilometer-long fine pebble beach. Here you will find all kinds of restaurants, cafes, shops, etc. The house is located on the edge of a residential street in the second row to the beach. 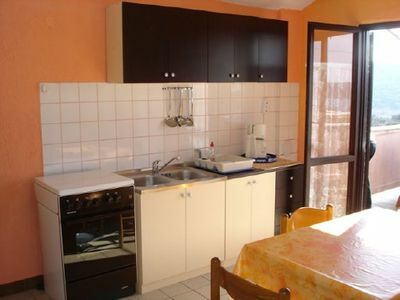 It offers on the ground floor 2 studio apartments for 2-3 persons, in the 1st floor two apartments for max. 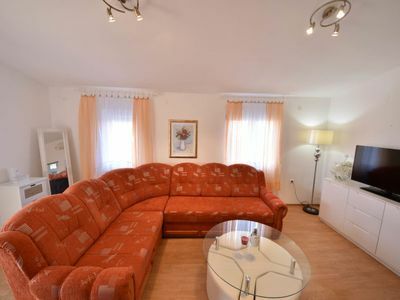 4 persons and on the 2nd floor a spacious luxury apartment with gallery floor for max. 6 persons. The larger apartments each have a sun-protected south-facing terrace. 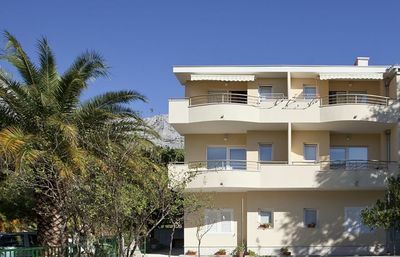 All apartments are air-conditioned, have satellite TV, Wi-Fi internet and generally attractive furnishings and fittings. In the courtyard there is also a barbecue. A private car park is available to guests. Pets can be brought by prior arrangement. A shared washing machine is also available for free. 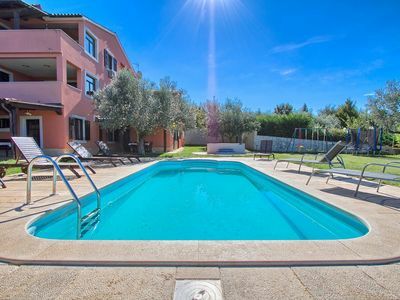 The apartments are bookable all year round. 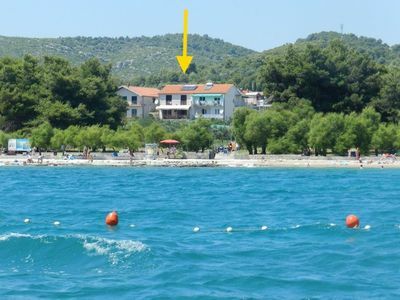 The entire tourist infrastructure is located in walking distance with an average duration of 3-5 minutes, whether you want to the restaurant, the beach, shopping, the bank, the post office, the doctor or the pharmacy. The picturesque harbor with a wide gastronomic offer and the starting point for many a boat excursion are only 2-3 minutes away. The beach is only 1 minute. The beautiful mountain landscape of the Biokovo massif invites to hikes or to a spectacular drive to the 1800m high summit. 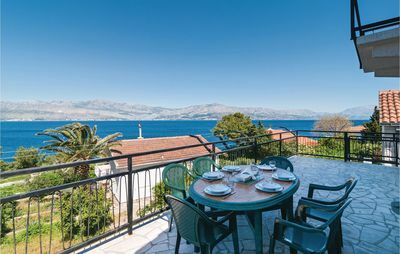 The offshore island world and the relatively nearby Unseco cities Split and Dubrovnik are suitable as day trip destinations. Sports enthusiasts will get their money&#39;s worth while rafting in Omis, while nature lovers can visit the two lakes of Imotski or the national parks of Krka and Mljet.